One of the best Budget hotels in Dubai city centre for romantic getaways or business trip. Located just off Sheikh Zayed Road and minutes from Dubai’s famous Safa Park and Jumeirah Beach, is the Holiday Inn Express Dubai-Safa Park. The comfortable and well-appointed bedrooms offer a choice of double or twin beds, sofa bed, work space, mini fridge, in-room safe, temperature control AC, direct dial telephones and flat screen TVs. Great Room Restaurant and Lounge Bar. 24-hour mini gym at the rooftop, self-service Business Centre, free high speed wireless Internet access in the guest rooms and public areas. Located in the historic part of Dubai, next to the Creek and Al Ghurair Mall, ibis Al Rigga is the perfect location for both business trips and romantic getaways. The hotel is only 300m from Al Rigga metro station, 10 min drive from Dubai International Airport and15 min from Dubai World Trade Center. With its comfortable air-conditioned rooms with Internet access, the hotel offers the best value hotel for money in the Dubai City Centre. Connecting rooms available – services for children. One of the greatest Budget hotels in Dubai city centre. 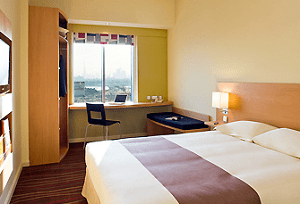 The ibis Deira City Centre is located in the heart of the historic part of Dubai, opposite the Deira City Centre shopping mall and within the business district of Port Saeed. 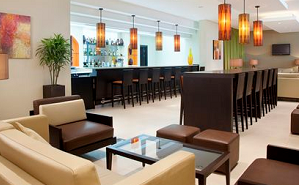 The hotel is only 5 minutes from Dubai Intl Airport and 15 minutes from the World Trade Center. Airconditioned rooms a bistro restaurant and a bar. Internet access in all rooms and WiFi in the lobby. Best value for money hotel in Dubai city centre. 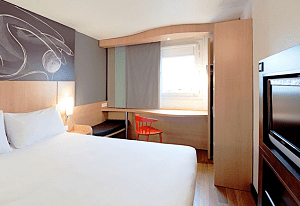 Rooms are modern and cozy, with a comfortable bed and a functional bathroom. 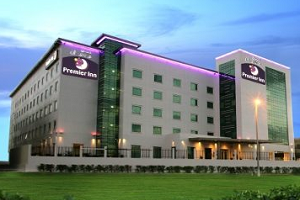 On the doorstep of the airport and close to Dubai’s business hotspots, Premier Inn Dubai International Airport hotel is ideal for both business and romantic travellers, one of the memorable Budget hotels in Dubai. Free WiFi in every room for easy internet access. Rooftop swimming pool and whirlpool bath. Restaurant, Bar and Costa Coffee Shop. One of the best Budget hotels in Dubai near International Airport.